We pride ourselves on professional and stylish website designs with a modern feel and straightforward usability. We use the latest industry standards when designing and developing all our websites. Our experience and attention to detail means that your new website will not only be cutting edge visually, but also fully functional across all modern browsers and mobile devices such as iPhone and iPad. Our website designs are clear, uncluttered & intuitive so your visitors can easily find what they need. Whether you are looking for a simple five page brochure style website, to a complete bespoke solution, we have the team to deliver outstanding results. 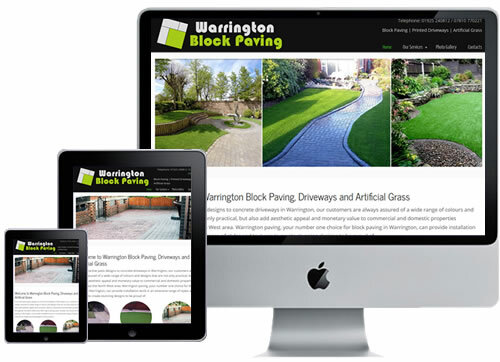 For website design Warrington, get in touch with us ! Quality Design Websites at Affordable Prices! Yes that’s right, top quality High End Web Designs! Great websites and marketing methods for business start-ups and small to medium sized businesses! At Cyber-Net Services we offer a wide variety of website packages to suit everyone’s budget. Whether it’s a brochure style website or a custom build website solution. So you want to sell products online ? Cyber-Net Services can develop your online shop which will have lots of features and easy to use admin area that you can manage. A full range of website maintenance and support packages are available. We will ensure your website is updated and support is at hand when you need it. Here at Cyber-Net Services we have exceptional customer satisfaction rating simply because we care, about our clients. If they are happy, they we are happy! Whatever your website budget, Cyber-Net Services aim to provide an exceptional service to all clients!